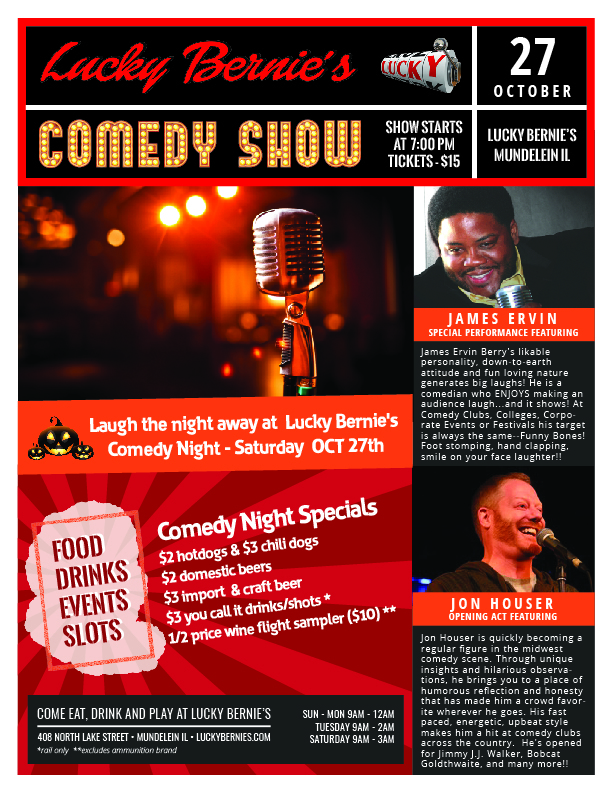 James Ervin Berry’s likable personality, down-to-earth attitude and fun loving nature generates big laughs! He is a comedian who ENJOYS making an audience laugh…and it shows! At Comedy Clubs, Colleges, Corporate Events or Festivals his target is always the same–Funny Bones! Foot stomping, hand clapping, smile on your face laughter!! Jon Houser is quickly becoming a regular figure in the midwest comedy scene. Through unique insights and hilarious observations, he brings you to a place of humorous reflection and honesty that has made him a crowd favorite wherever he goes. His fast paced, energetic, upbeat style makes him a hit at comedy clubs across the country. He’s opened for Jimmy J.J. Walker, Bobcat Goldthwaite, and many more! !